As the prospect of promoting wellness gains more traction, natural remedies including green juice are growing increasingly popular. Drinking green juice has long been touted as a surefire way to combat toxins and eradicate impurities from the body. In essence, this healthy green powder contains a wealth of fruits, vegetables, and superfoods. When added to water, it becomes a nutrient-dense drink that’s wildly advantageous to your health. A green juice a day will indeed keep the doctor away, and you’ll reap the following benefits too. Inadequate gut health has been linked to depression and apathy. When we feed ourselves processed foods, it doesn’t bode well for optimal mental health. Medical professionals maintain that adequate gut health is the cornerstone of wellness. With that said, it’s imperative that we mind what we eat. Green juice is rich with digestive enzymes and probiotics. These microorganisms rid the body of bacteria and, in turn, restore gut health. In addition to eliminating harmful bacteria from the body, these substances offer good bacteria as well. Out with the old, in with the new and improved. No one, regardless of age, gender, or race, is impervious to the flu. When the immune system fails to operate at peak efficiency, the body becomes more susceptible to catching a cold. Fortunately, green juice contains the necessary nutrients that help keep colds and influenzas at bay. Nutrients are to the body as gas is to a car. We require sufficient nutrients to run correctly. Unfortunately, we exhaust our nutrient resources daily. Replenishing our nutrient levels is as simple as consuming one green juice a day. Zinc and vitamin C are the most prominent immune-boosting compounds found in green juice, and their restorative properties are not to be undermined. When fatigue rears its ugly head, it’s easy to yield to sleep. For a midday pick-me-up, many turn to coffee, tea, or energy drinks. Though the latter is undoubtedly the riskier option, coffee and tea are fine in moderation. However, persistent drowsiness is emblematic of a pressing problem. According to studies, 92 percent of people deprive themselves of essential minerals. Our bodies demand a certain amount of minerals to survive, and green juice effortlessly provides them. Green juice helps convert food to energy and offers vitamins including B12. With these two forces at work, the body can carry on without succumbing to weariness. Though vanity is presumed to be a dishonorable trait, stopping physical aging in its tracks is conducive to living longer. The antioxidants contained within green juice are renowned for their age-defying capabilities. Above all else, antioxidants are crucial for safeguarding against oxidative damage. When oxidative damage occurs, malignant diseases like cancer and diabetes are more likely to develop. In an effort to consume ample antioxidants, wellness experts recommend drinking one green juice per day. In fact, studies reveal that those who consume ten servings of fruits and vegetables daily are less prone to infection. Moreover, their physical aging slows considerably. With that in mind, drinking green juice makes looking and feeling good attainable. With obesity on the rise, it’s never been more critical to maintain a healthy weight. Green juice is a healthy alternative to snacks and breakfast, and it’s incredibly filling as well. With that said, it lessens the urge to snack throughout the day and munch on fatty foods. While many are skeptical about substituting juices for meals, green juice is so nutrient-rich that it meets all of the body’s cravings and nutrient requirements. What’s more, green juice cleanses are detoxifying. The detoxification process helps the body shed unnecessary weight. As a result, the number on the scale decreases. When you make a habit out of drinking green juice, your weight is less likely to fluctuate. In short, green juice provides a natural and healthy way to drop a few pounds and keep them off. When pH levels are thrown out of whack, our bodies scramble to get back into the ideal pH range. Ideally, your body’s pH should fall anywhere between 7.35 and 7.45 pH. The chief cause of unbalanced pH levels is acidity. The body’s pH can’t be too acidic or alkaline. Alcohol consumption and eating processed foods are the primary culprits of high acidity and alkaline. 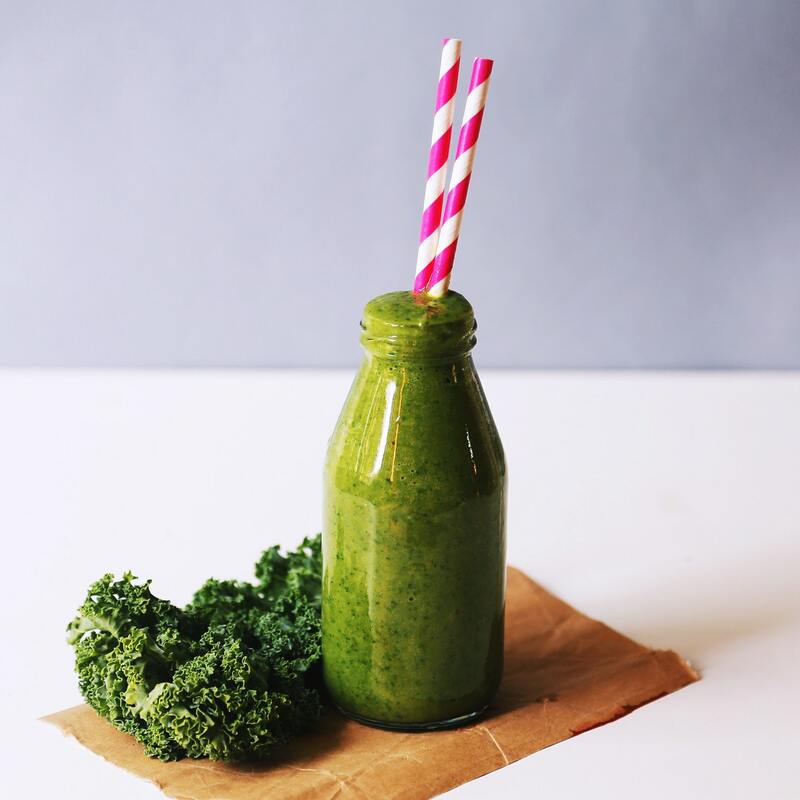 From stiff joints to digestive problems, an onslaught of health issues accompany wonky pH levels – enter green juice. Not surprisingly, green juice has the power to stabilize the body’s pH. Green vegetables, specifically, help maintain alkalinity. Rather than eat a heaping helping of green veggies daily, many opt for green juices instead. Though the benefits of amino acids are widely celebrated, these protein-dense nutrients are often neglected. Amino acid deficiency triggers a host of adverse side effects including insomnia, weight gain, and a weakened immune system. One guaranteed way to reverse these symptoms is to drink a green juice every day. Many have seen their hair, nails, and appearance improve as a result of restoring their amino acid levels. Prolonged amino acid deficiency can lead to serious health concerns. It’s for this reason why individuals are taking proactive measures to ensure that they don’t become vulnerable to life-threatening illnesses.